Mehrfach ausgezeichnet für ihre Leistungen als Vocal-Teacher in den USA. „Director of Vocal Music“ an der Wilson Senior High School in Washington D.C. Tätig als Sängerin, Schauspielerin und Tänzerin in Musiktheater-Produktionen wie „The All Night Strut“ und „Cool Papas Party“. Lori leitet(e) zahlreiche Gospel-und Jazzchöre. Vielfache Studioerfahrung. Credits: George Duke, James Genus, Slide Hampton, u.v.m. Lori was recognized as an outstanding Music Teacher in the October 2000 issue of Teaching Music magazine. She was selected to have her biography appear in the 2005 Premier Edition of Great Women of the 21st Century for her professional dedication and commitment to communities. She was also recognized as a 2005-2006 National Honor Roll’s Outstanding American Teacher. She was the recipient of the 2007 Superintendent’s Arts Teacher of the Year Award. Lori was also honored at the Mayor’s Arts Awards, held at the John F. Kennedy Center. This award was given on behalf of the DC Commission on the Arts and Humanities, DC Public Schools, and the DC Arts. 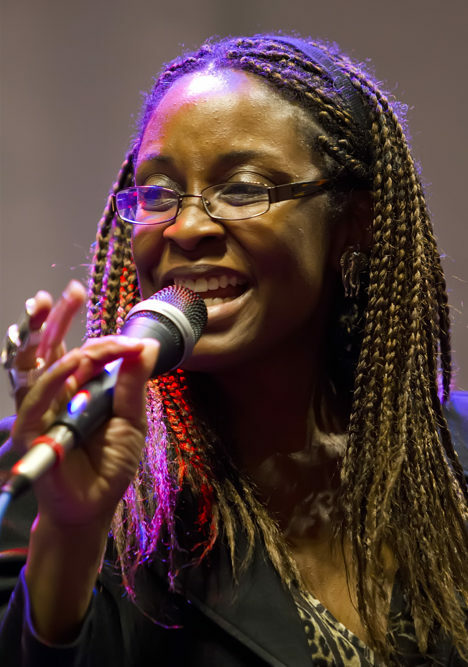 Additionally, Lori was the 2010 Vincent E. Reed Teacher of the Year.Her affiliations include Delta Sigma Theta Sorority, Inc. (Prince Georges County Alumnae Chapter, Maryland), BMI (songwriter/composer), WAMADC, The International Association for Jazz Education (former President-Elect  Washington, D.C. Unit), The National Association for Female Executives, Kappa Tau Alpha and DC  Music Educators Association.Lori Williams released her debut CD ~ Healing Within ~ in the fall of 2010. The wonderful artists on this project are Michael Bowie, Yusef Khalil Chisholm (Lori’s son), Tony Cothran, Tracey Cutler, Derrick Gardner, James Genus, Lauren Highsmith (Lori’s daughter), Jimmy „Junebug“ Jackson, Allyn Johnson, William Knowles, Lisa Locke (Lori’s niece), Antonio Parker, Robert Person, Benjie Porecki, Mark Prince and Vanessa Williams (Lori’s sister).